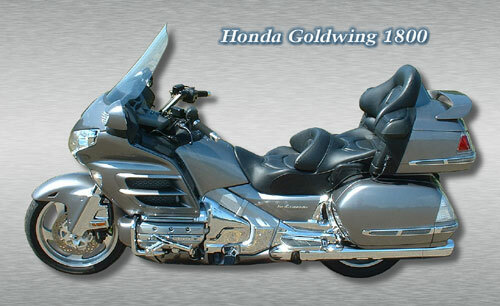 Whether you ride a Goldwing GL1800 for the bodywork, engine, or the best chassis package the touring world has ever seen, when you want to add aftermarket Honda GL1800 Parts and Honda GL1800 Accessories, you’ll find what you need right here! Why buy your Honda GL1800 Parts and Honda GL1800 Accessories from Cyclemax? As you know, the Honda GL1800 defines the art of luxury motorcycle travel. Before the Goldwing 1800, having sporting performance meant giving up comfort, while luxury motorcycles were too big and too heavy. Honda has changed all that by giving you the best of both. And if you’re lucky enough to have a GL1800 in your garage, you can easily customize it with Honda GL1800 Parts and Honda GL1800 Accessories without spending all your gas money. See you on the road!